There’s no shortage of good ideas for improving health care delivery, but it can be a long road from the drawing board to the examination room. Lack of resources, institutional roadblocks, or just plain skepticism can dampen even the brightest spark of genius. But that’s not to say that innovation only happens through luck or divine intervention. 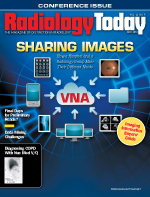 Bradley J. Erickson, MD, PhD, a radiology professor at the Mayo Clinic in Rochester, Minnesota, says radiologists and their colleagues can take certain steps to foster innovation. At SIIM 2013, he’ll deliver the Dwyer Lecture, which will focus on translating innovation to clinical practice and examine how innovation happens and how to let it happen. There are three steps Erickson considers crucial for getting an innovative idea off the ground and constructing a viable work product. The first is developing the principle behind the idea. Erickson says the key to this phase is focusing on the question that needs to be answered rather than the answer itself. This can lead to different types of questions that frame the problem in a new way and make the idea, and ultimately the solution, stronger. The second step is developing a prototype that captures the idea’s essence. But Erickson says to guard against the temptation to make it perfect from the get-go because few prototypes survive without changes. The key is to find a few people who are willing to try the new technology and solicit their input about what works and what doesn’t. This allows the prototype to be fine-tuned. The final step is launching the product, which many people find to be the most difficult step because it requires the creators to give up a significant amount of control. At this point in the process, business considerations often come into play, and it can be difficult for physicians to accept that. Nonetheless, Erickson says economic viability usually determines a project’s success or failure. One factor that applies to all three steps is persistence. If an idea is truly innovative, it’s virtually guaranteed that somebody won’t like it. Pushback is a normal part of the process, and innovators should expect that some people will disagree with them. Erickson sees several areas of health care informatics that are ripe for translation from lab to clinical practice. One is the continued development of clinical analytics, such as computer-aided detection (CAD). Already CAD is used regularly to assist with breast lesion and colon polyp detection, and newer technologies are showing promise for pulmonary nodule detection, embolism detection, and arterial stenosis measurements. In addition, many academic centers are developing cutting-edge tools that eventually may find their way into mainstream practice. Another example is clinical dashboards and practice management tools. These tools can be used to track patient dose, turnaround time, equipment utilization, or any number of valuable data points. Although there still are issues involving terminology, data capture, and integration into practice that need to be resolved, more and more practices are adopting dashboards to collect data more efficiently. It may seem that clinicians at larger institutions have an advantage when it comes to creating innovation, but Erickson says that’s not necessarily the case. Although larger institutions tend to have more resources at their disposal, they also have several more layers of decision makers. Committees must vet changes in practice, so if a committee doesn’t like an idea, it usually doesn’t go far. In some cases, a physician may have to expend his or her own resources so a prototype can be built. One example that Erickson cites comes from the early days of PACS. At the time, it was considered sufficient to have one or two PACS workstations available for referring physicians in the radiology film library. Erickson thought it would be not only feasible but also more efficient to put a PACS viewer on each physician’s desktop computer. Although there was significant resistance to the idea at the time, it’s today’s standard model as EMR installation grows. Another example is the evolution of vendor-neutral archives (VNAs). Initially, many people didn’t think an independent archive would provide adequate performance to allow PACS queries at clinical speeds and would require a lot of extra work for clinicians. Today, as image retrieval times improve, more and more facilities are seeing value in the ability to separate the workstation and archive functions of PACS, largely because of the need for workstation upgrades every 2 1/2 to three years and the cost, in dollars and manpower, of data migrations. As more of the Affordable Care Act is implemented, there will be more changes in health care delivery. Erickson sees potential for accountable care organizations, which are mandated by law, to fuel innovation in facilities of all sizes. Because analytic tools will increasingly be judged by patient outcomes and whether they reduce the overall cost of patient care, rather than whether they’re billable, there will be more of an incentive to develop tools that increase clinical efficiency and diagnostic accuracy. An evolving FDA approval process for medical devices will influence innovation. Because technology is changing so rapidly, the FDA is adjusting its views regarding device approval, which Erickson thinks could have a significant effect on how analytic tools are rolled out. Ultimately, though, the people who are most closely involved with patient care will determine which tools are needed. The most useful tools likely will be born from looking at old problems from new angles. Innovators will possess a willingness to ask difficult questions in new ways and, at times, go against the grain.